Used Rolex Explorer vintage watch with original gilt text dial and hands. The Explorer line of watches from Rolex was made famous by Sir Edmund Hillary and included both dress model Explorers as well as these full sized sports watches. 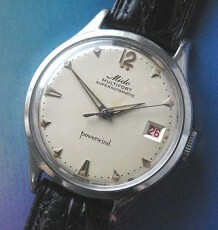 A vintage Rolex Sports watch with original gilt dial. Perhaps second only to the Submariner in terms of iconic status amongst the Rolex brand. The Explorer model dates back to the 1940’s, however the catalyst that brought the model to the public’s attention was the news that Sir Edmund Hillary or one of the team ascending Mt. 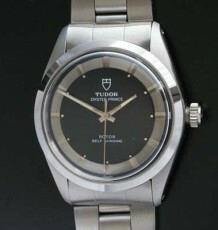 Everest had worn a Rolex Explorer to the summit. 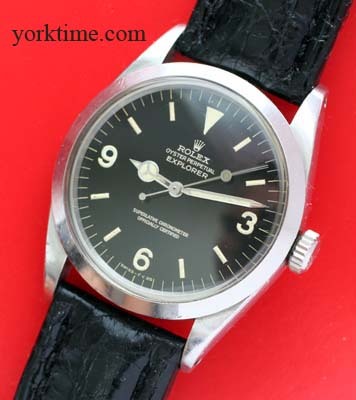 This Rolex Explorer model 1016 dates to 1966 based on the serial number and the date code stamped inside the caseback. The watch is fitted with the Rolex automatic calibre 1570 Chronometer rated movement which was just serviced and is keeping excellent time. The centre piece of this fabulous vintage collectible is the all original gild text dial and hand set which has developed a warm patina. The hands developed a slight aging without going completely dark. 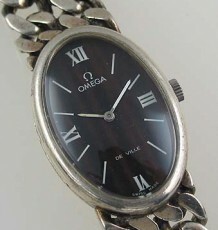 This is the ideal patina that collectors of these older Tritium dialed watches are looking for. The case has been detailed and is in beautiful condition. The watch is supplied on a black leather strap, but please inquire if you prefer the watch on an original Oyster bracelet. 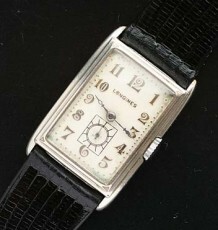 The watch measures 36 mm wide by 44 mm long.